Malawi Defence Force (MDF) and Malawi Police Service (MPS) top the list of government ministries, departments and agencies (MDAs) defaulting on bills owed to the country’s five water boards, thereby crippling the water utilities’ operations. Collectively, MDAs owe the five water boards—Blantyre Water Board (BWB), Lilongwe Water Board (LWB), Northern Region Water Board (NRWB), Central Region Water Board (CRWB) and Southern Region Water Board (SRWB)—K21 billion in unpaid bills. Besides the security agencies, there are four other key MDAs, including State Residences, Malawi Prison Service and ministries of Health and Education, Science and Technology, that also owe the water boards huge bills, some dating back to four years ago. An extract from the Water Boards Management Report shows that MDF tops the list of defaulting MDAs with K11.3 billion out of which K4.5 billion is owed to SRWB alone. The Police is second with a total of K4 billion owed to the five water boards. Out of the amount, K1.8 billion is due to LWB and K1.4 billion to BWB. The report shows that State Residences collectively owes the water boards K3 billion, Prisons K1.7 billion, Ministry of Health K1.1 billion and Ministry of Education, Science and Technology K335.7 million. The water boards have confirmed that MDAs owe them money in unpaid water bills, but most of them did not want to mention the figures they are owed, saying they are still in discussions with government on the repayment plan. But documents we have seen show that SRWB is owed the highest at K7.1 billion followed by LWB at K5.9 billion while NRWB and BWB are owed K3.1 billion each and CRWB K2.7 billion. A member of the Water Boards Management Committee confided that the boards are struggling to implement reforms because of the outstanding bills. The source said the development is also negatively affecting the boards’ salary structures. Said the source: “Politics is at play. The water boards are failing to do things they are supposed to do because of a chain of things that works in a circle which is unbreakable. While their funds are tied in unpaid bills owed by other MDAs, public tax collector, Malawi Revenue Authority (MRA), has also been on the necks of the water boards demanding value-added tax (VAT) levied on water. 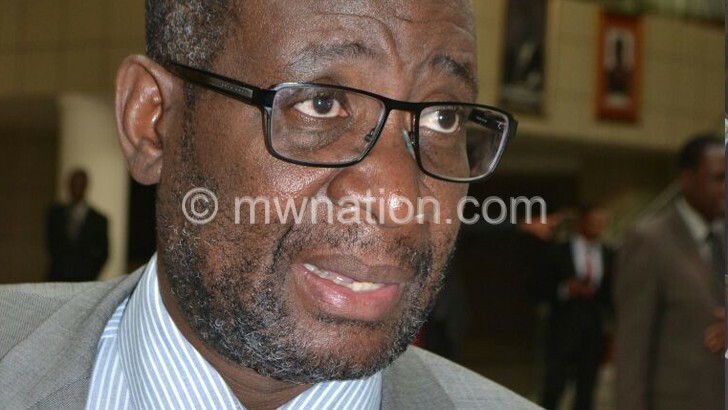 But the situation, coming after the Department of Statutory Corporations in November last year asked the Office of the President and Cabinet (OPC) to act on a 21-day ultimatum set by Water Employees Trade Union of Malawi (Wetum) for MDAs to pay the bills then pegged at K18 billion, begs the question of what became of a 2016 Ministry of Finance plan to centralise the payment of all utility bills and installation of prepaid meters to avoid such occurrences. In interviews, some of the chief executive officers (CEOs) and public relations officers (PROs) of the boards, while acknowledging that government owed them money, they refused to give further details. LWB CEO Engineer Alfonso Chikuni said his board signed a memorandum of understanding (MoU) with the concerned MDAs on a repayment plan that also includes installation of prepaid billing water meters. He said: “Our situation is slightly different. It is true government owes us money, but we have been in a lot of dialogue on the way forward. “We have resorted to installing prepaid meters at the MDF and secondary schools. Both SRWB and NRWB also acknowledged being owed by various clients, including MDAs. The two regional water boards also mentioned installation of prepaid meters as a solution to make government departments pay. SRWB PRO Rita Makwangwala said government has committed to paying the outstanding bills through the prepaid meters even though she said they still have difficulties with people owing them money. She said this affects their operations. Reacting to the situation, Budget and Finance Committee of Parliament chairperson Rhino Chiphiko said the debt situation by government to the boards was worrisome. He said it is unfortunate that government does not seem to honour the pledges it made on repaying the debts. Ben Chakhame, the outgoing executive secretary for Water Services Association of Malawi (Wasama), described the current debt by MDAs as a stumbling block to the boards’ progress. Secretary to the Treasury Cliff Chiunda asked for more time to consult when contacted on the issue on Friday, Saturday and Sunday. In November, Wetum issued a 21-day ultimatum for MDAs to settle the bills.